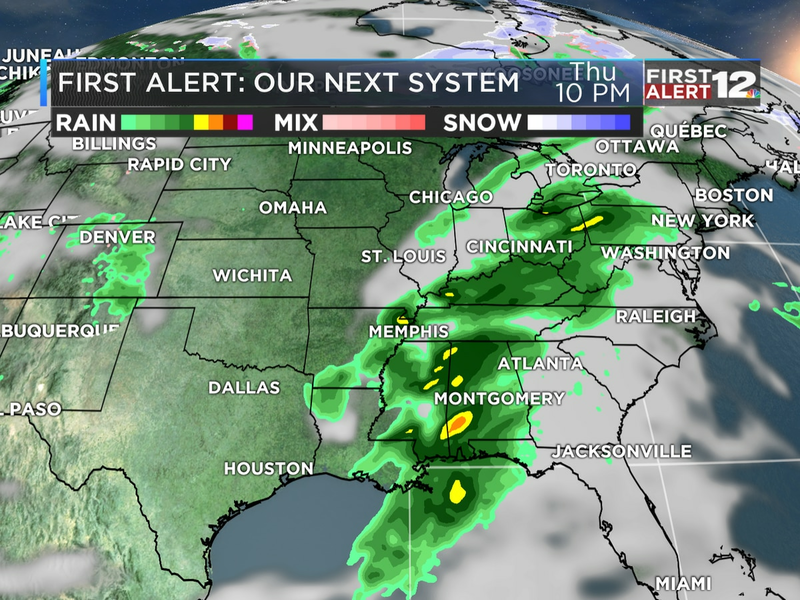 First Alert: Big changes coming soon! 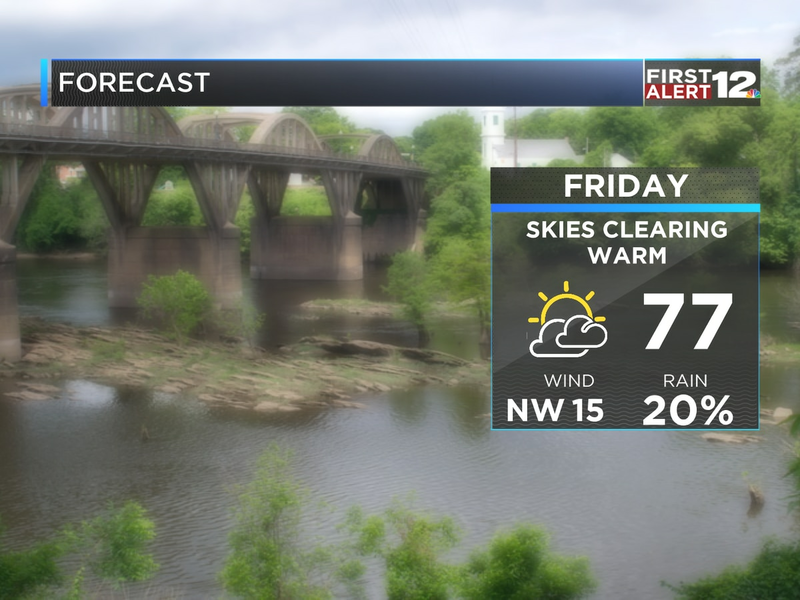 MONTGOMERY, AL (WSFA) - The rest of the work week will feature more good than bad. Some patchy morning fog is possible early Wednesday, but even where it forms, it should dissipate within an hour or two of sunrise. A weak front slides through the state on Thursday, bringing an increase in clouds and temperature. 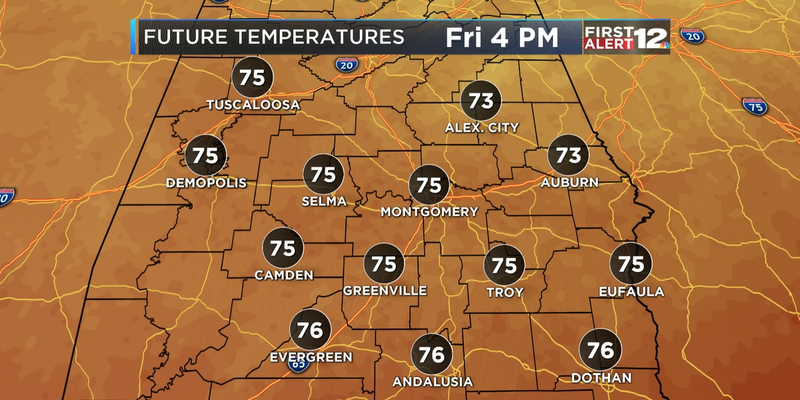 We’ll warm into the lower 60s Thursday, with upper 60s likely on Friday. A few showers are possible both days, but any rain that forms Thursday/Friday will be light and spotty. Many stay dry. A much stronger front takes aim at the state late Saturday into Saturday night. There are still some important timing differences in the available model output, but the general idea is that the coverage of rain will be fairly low Saturday morning, then the rain will become widespread late Saturday afternoon and especially Saturday night. A few rumbles of thunder are possible, but severe weather is unlikely. Rainfall amounts of one-half to one inch are a good bet by the time the rain tapers off early Sunday. At this time, we believe the moisture will exit our part of Alabama before the air becomes cold enough to support any snowflakes. A few flurries are more likely over the northeastern counties of the state, up around Gadsden, Mentone, Centre and Fort Payne. Predicting cloud cover after a departing cold front can be tricky, but we anticipate that skies will likely clear out in time to check out the total lunar eclipse Sunday night. Temperatures will quickly fall as the front pushes through Alabama on Sunday, and bitterly cold air will take up residence here for the early part of the work week. The exact high temperature will depend on the timing of the front; a faster front will push temperatures down earlier in the day, as opposed to a slower front holding back the cold air until later in the day. Regardless, it will turn sharply colder Sunday, and by sunrise Monday, most of our area will be in the 19-25 degree range, with even lower wind chill values. If you have any vulnerable (poorly insulated) pipes around your home, you should spend some time this week wrapping them. Of note - long range model data hints at multiple cold shots between now and February 5, some of which could be even more intense than the quick Arctic blast we’re expecting Sunday/Monday. Buckle up.